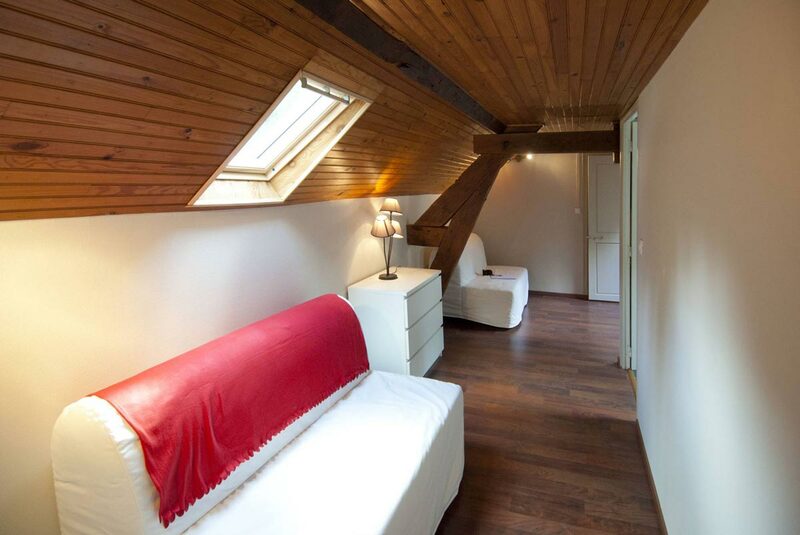 On the first floor, four bedrooms can accommodate up to 8 guests, or 12 by using the available convertible sofas. 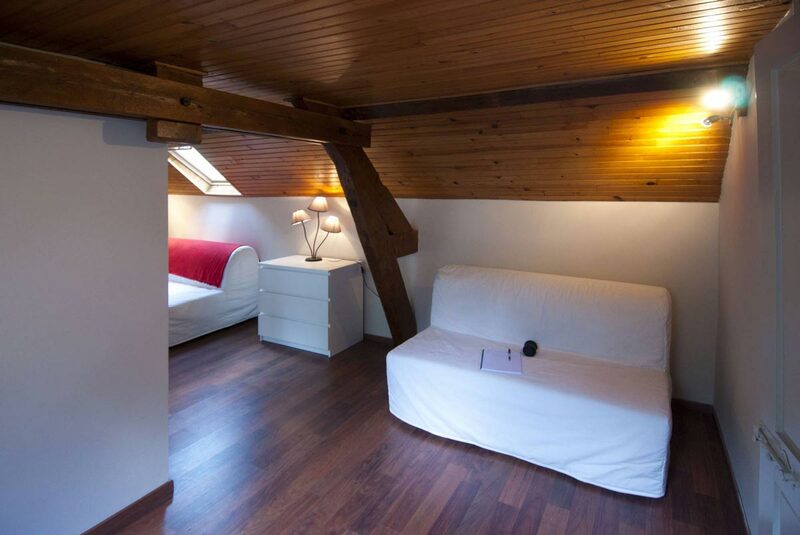 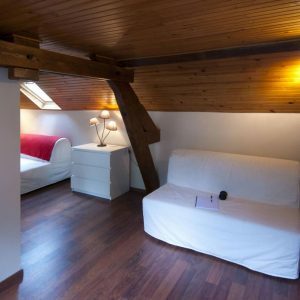 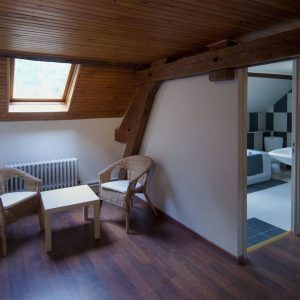 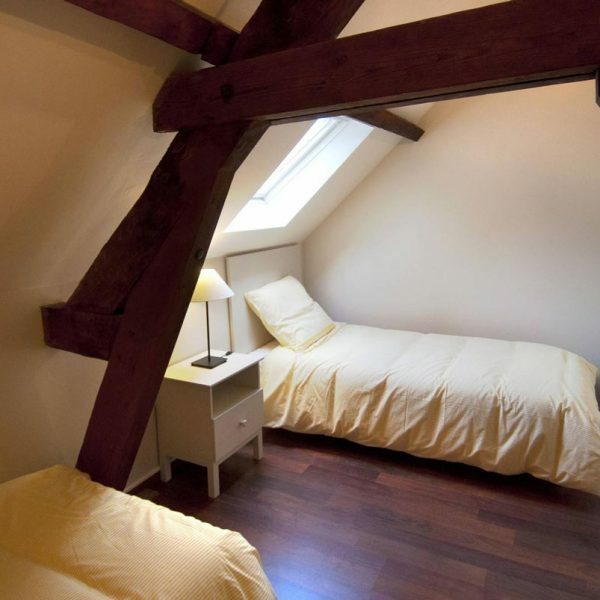 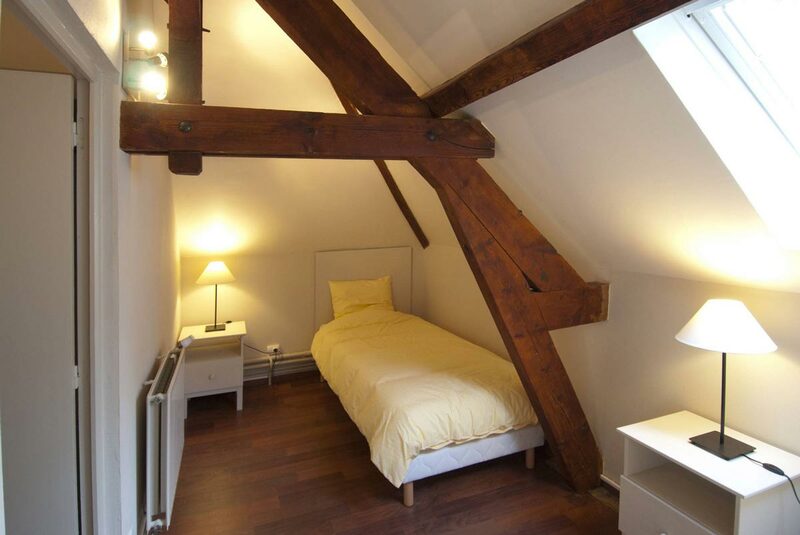 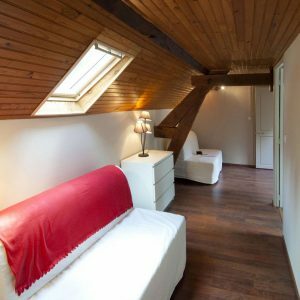 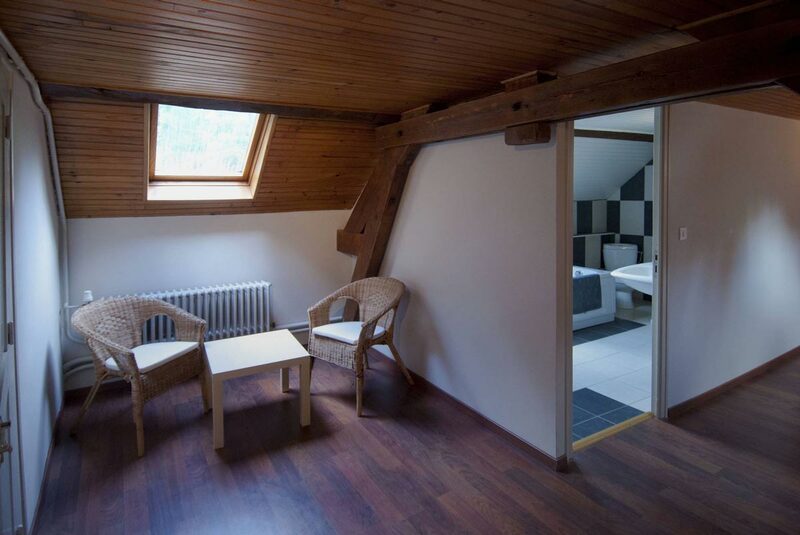 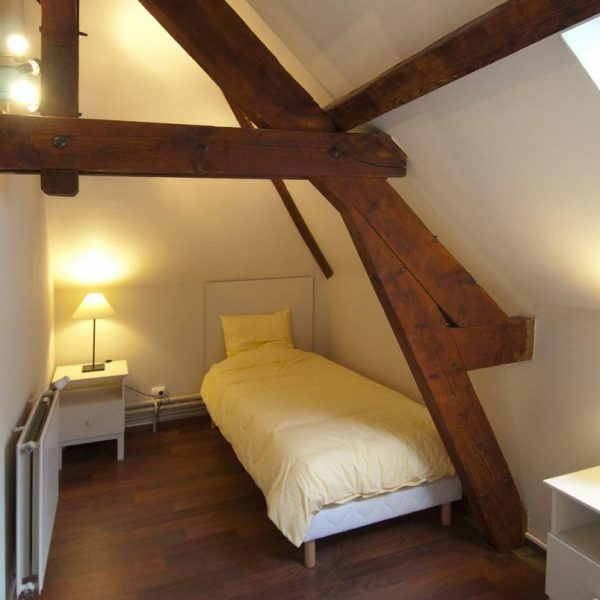 This very luminous bedroom with apparent beams is the largest of the four bedrooms of the gîte. 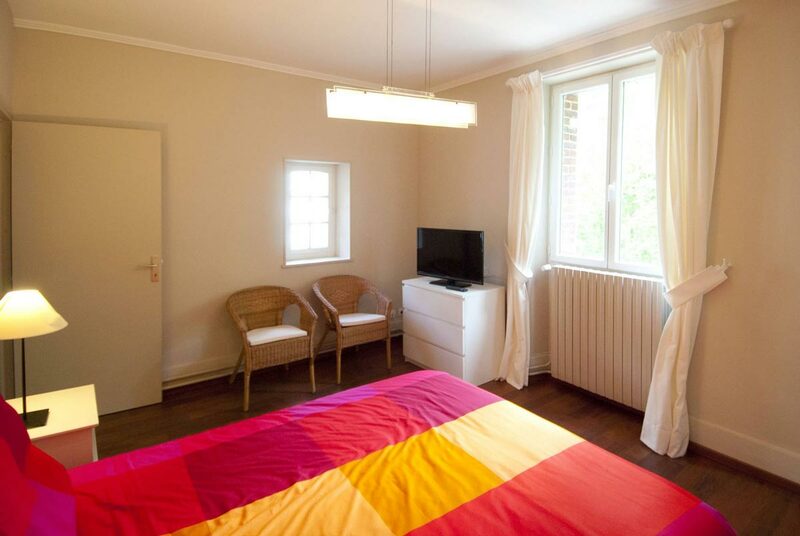 It includes a double bed, television, and reading corner. 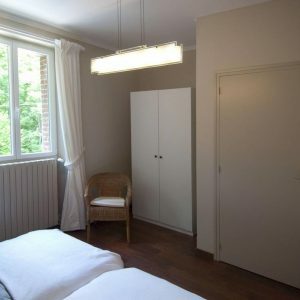 Furniture for your personal effects is also available in the bedroom. 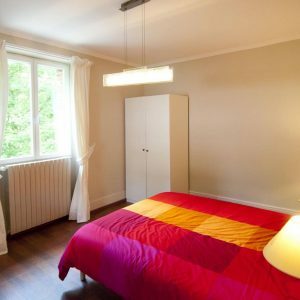 With a more modern and colourful aspect, this bedroom includes a double bed, television and furniture for your belongings. 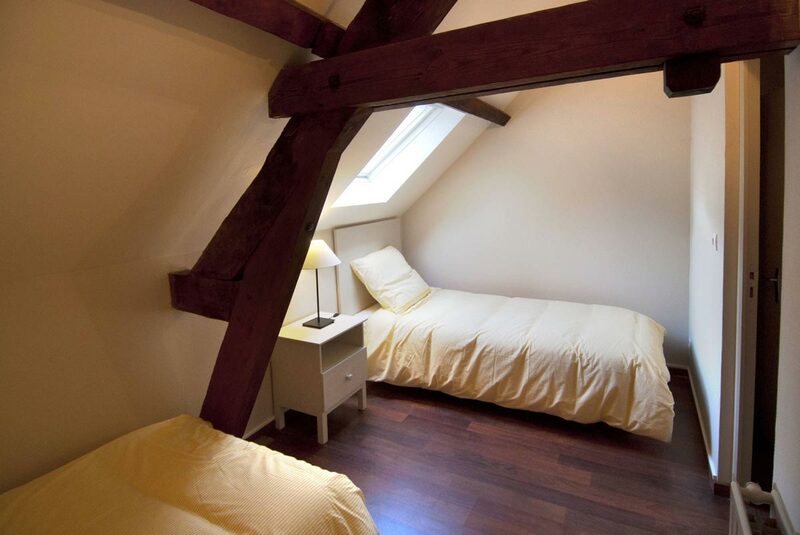 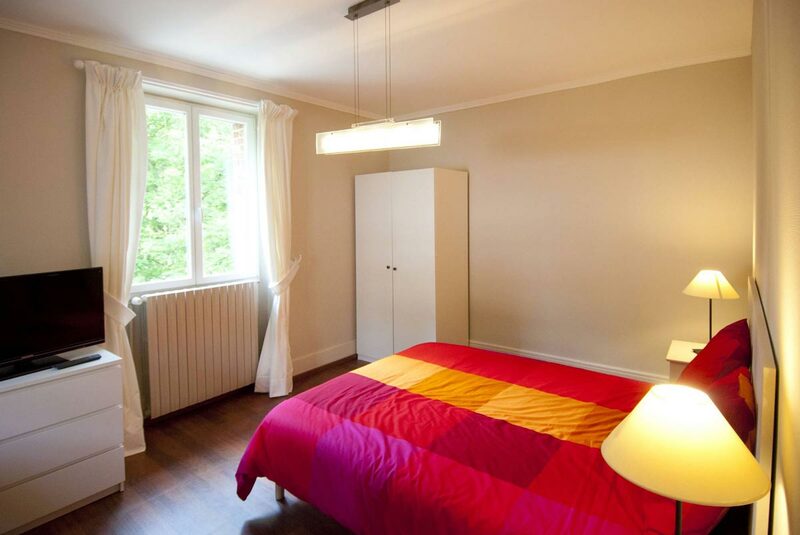 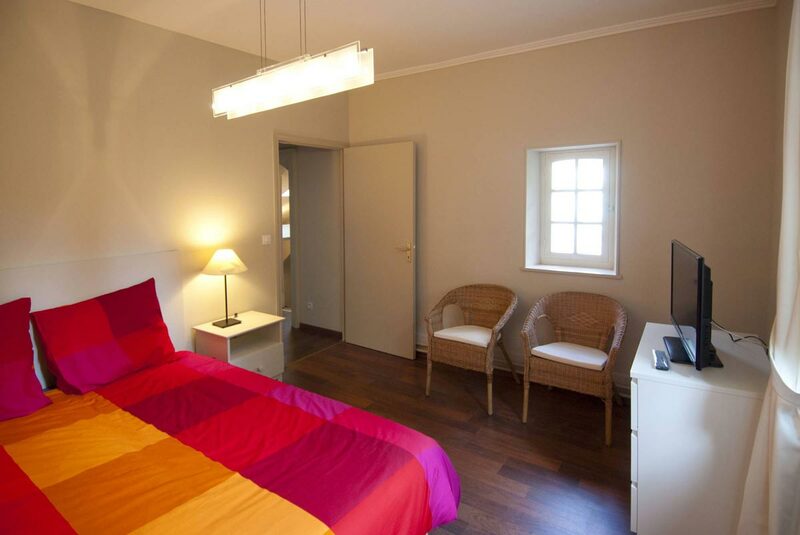 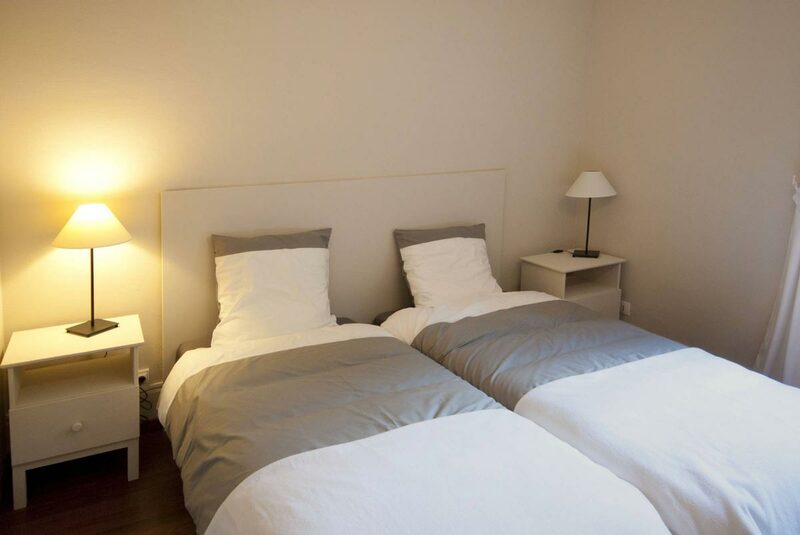 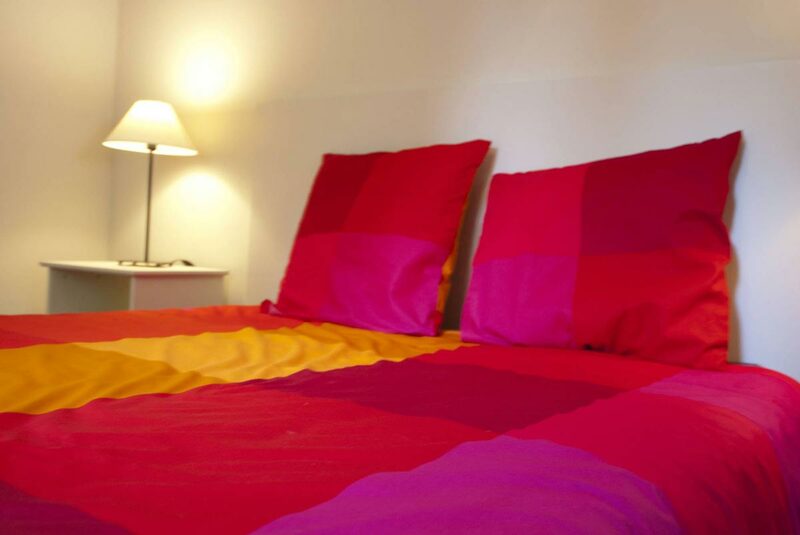 This room comes with two single beds that can be joined to make a double bed. 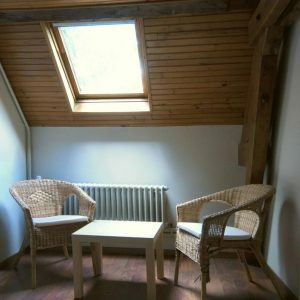 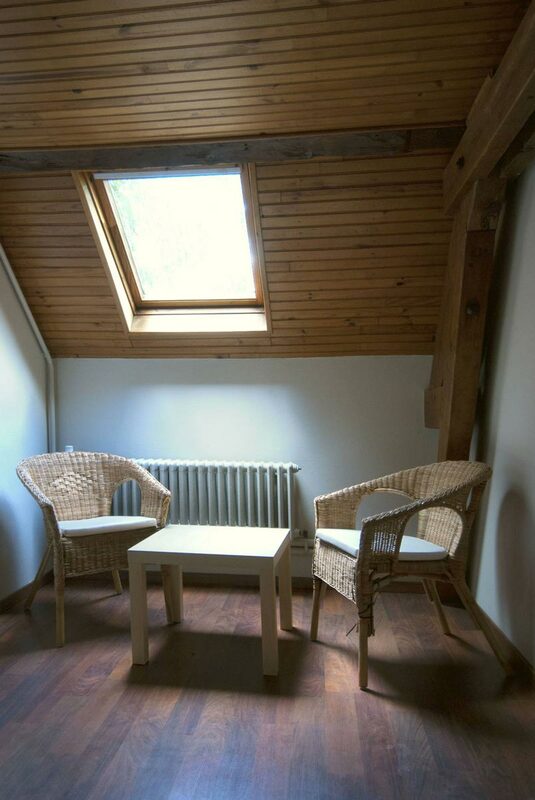 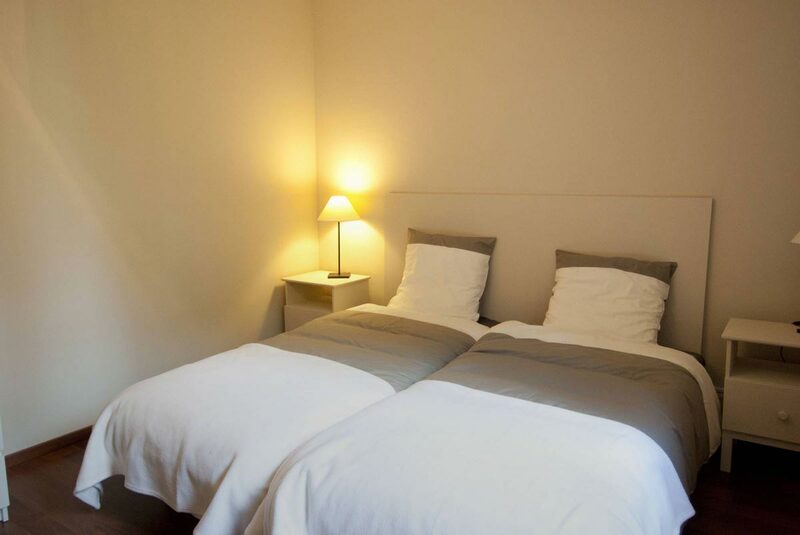 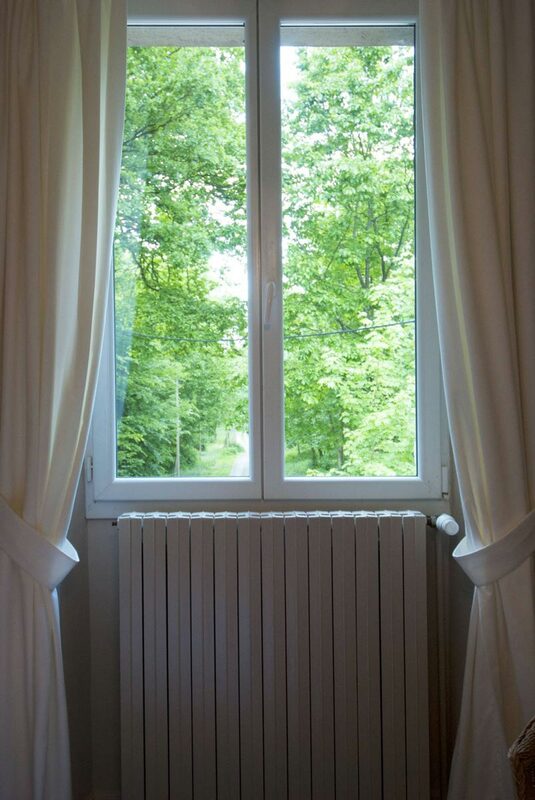 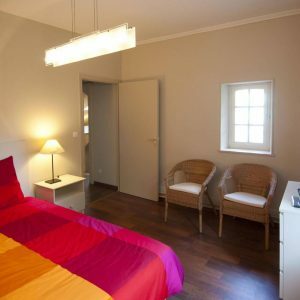 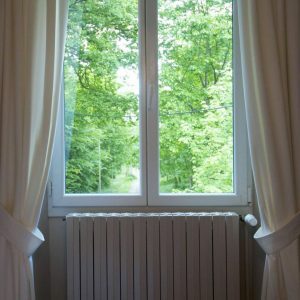 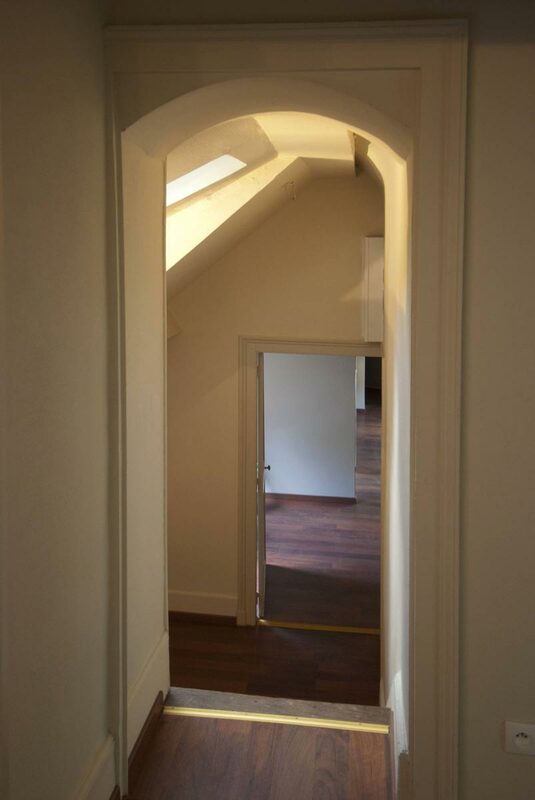 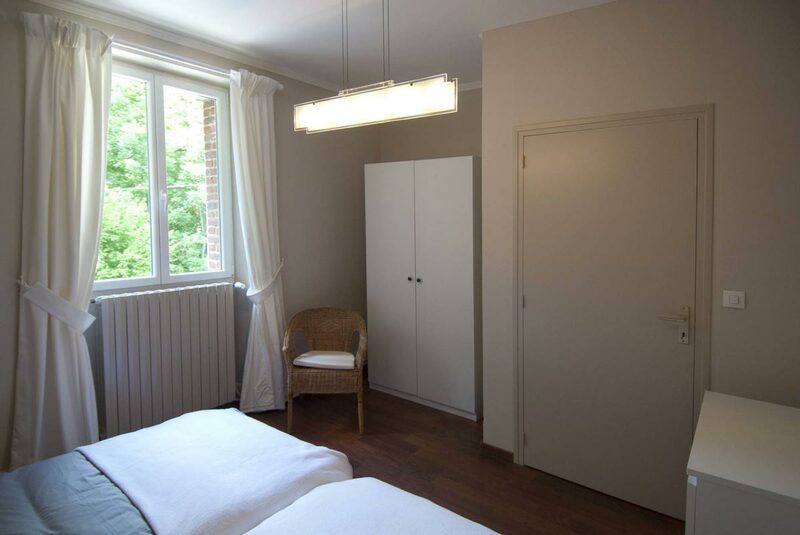 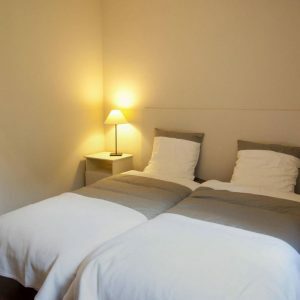 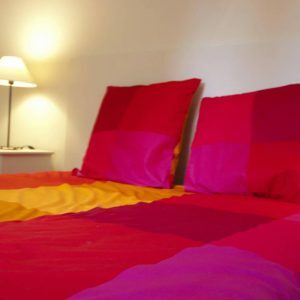 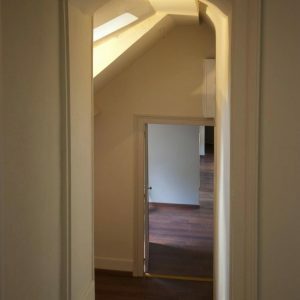 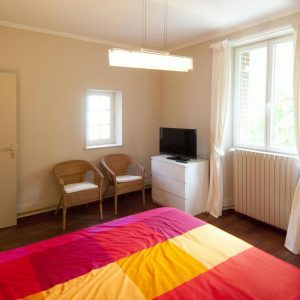 The corridor on the first floor includes a reading/relaxing corner and is also equipped with two convertible sofas, which can receive another 4 guests, bringing the gîte’s total capacity to 16 beds.